The Language Journal: From al dente to zucchini, the romantic language of the Italians has made food simply molto delizioso! From al dente to zucchini, the romantic language of the Italians has made food simply molto delizioso! Italian is one of the most beautiful of the Romance languages. It’s lyrical, with softly lilting words, wherein each phrase and sentence almost seems like a song. 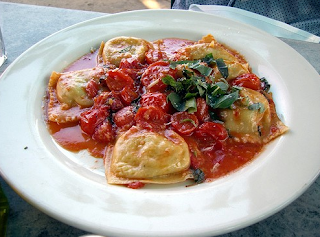 At the same time, Italian food is known around the world to be some of the most delicious and savory. Who doesn’t enjoy a slice of pizza from a pizzeria, a plate of carbonara pasta from a trattoria, a slice of mozarrella cheese or a cup of cappuccino? To celebrate, we bring out a bottle of Spumante and make a toast! You don’t have to be a prima donna or “first lady” to enjoy Italian food and even a diva to be hard pressed to complain about a serving of tiramisu. Italian cuisine is simple yet highly flavorful and is certainly not a fiasco or failure. No wonder it has taken the world by storm, appealing to people of all ages. Italians didn’t just give us delicious pizza, pasta and gelato. Many English words have their roots from various Italian words. It’s not surprising then that the English loan words in Italian often relate to items of beauty, such as art, music, architecture and most especially, food! Italian food is widely loved and enjoyed. 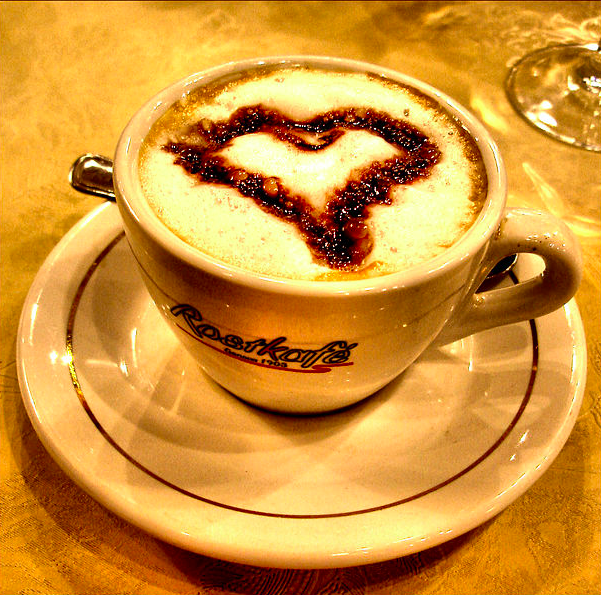 Who doesn’t enjoy a cup of cappuccino or espresso? In fact, you walk into any coffee shop now and you can ask for your hot beverage in venti or grande. Only the Italians could transform flour and eggs into something delicious, healthy and whimsical, something quite magnificent (from the root word magnifico). Foodies all over the world enjoy lasagna, linguine and fettuccine. 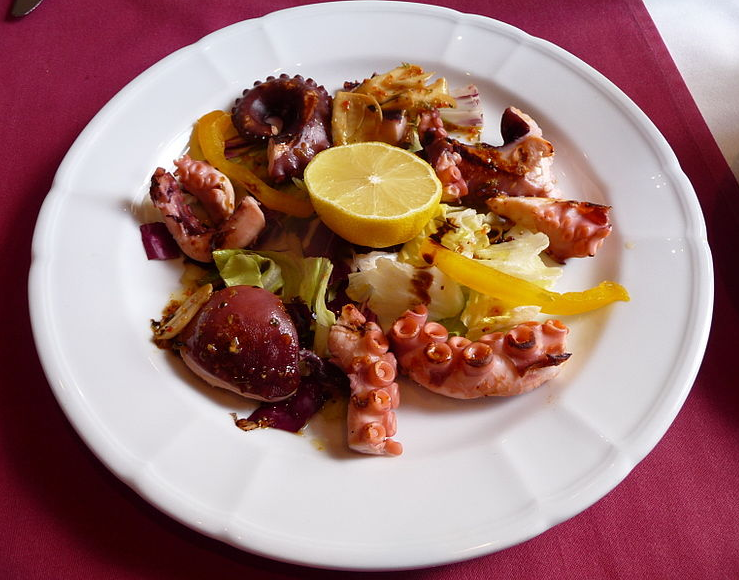 It’s simply brilliant or brillare how the Italians managed to transform the dining experience into a gastronomic festa or feast when creating these fun shapes and sizes. Spaghetti is from the word spaghetto, which means, “little string” while vermicelli means, “little worm.” Macaroni is from maccheroni, which is best served with cheese (especially parmesan) or with a marinara sauce. 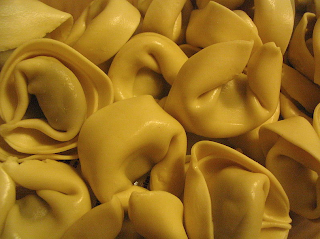 Little cakes or tortellini resemble a belly button, which is probably why this pasta is called as such. Finally, the corkscrew shaped noodle fusilli is from the Italian word fucile, which is a word for rifle. The word pasta is from the same Italian word that means “dough,” wherein the flour of choice is semolina, which is from the root word semolino. Eating all this pasta could make someone not fit into their jeans (which coincidentally, comes from the root blu di Genova, the jean fabric that was developed in Genoa, Italy), it is well worth the flavor and satisfaction. Italian pasta is delicious eaten on its own, but to take it to the next level, serving it with sauce is a must. When it comes to sauce, there are also a variety of types to choose from. These types of sauces have become so familiar to us, these nouns are no longer a foreign language and instead part of our dining vernacular. Pesto is from the same word that means “crushed,” while marinara literally means “in sailor style.” Ragu is a meat-based sauce, although Americans are more familiar with the brand of pasta sauce. These savory carbs are best enjoyed with a side of focaccia or even ciabatta bread. Made into a sandwich, it’s now a panini. With a slice of mozzarella cheese (which comes from the verb mozzare, meaning “to cut”), the panini becomes rich and gooey. We have Italians to thank for cotechino, salami (originated from salume, meaning salted meat), bologna (a city in Northern Italy) or baloney and calamari (deep fried squid). Mothers always tell children to eat their vegetables. However, little known to many, some vegetable names have Italian origins. 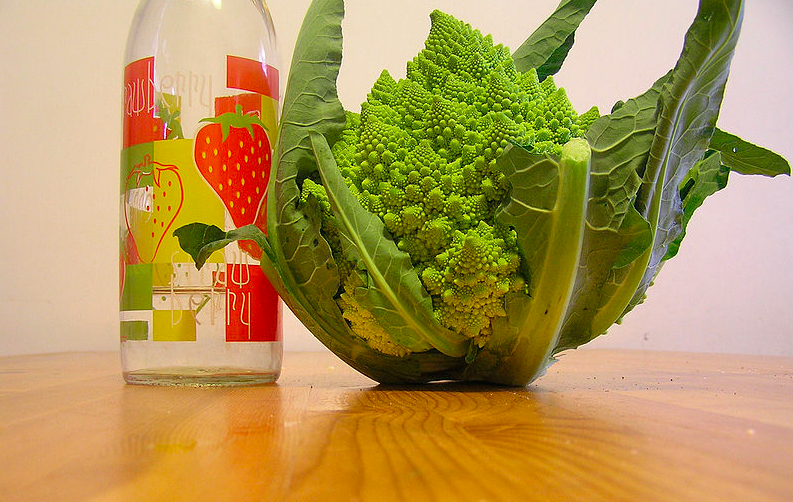 Perhaps knowing its Italian roots will make these vegetables more popular! 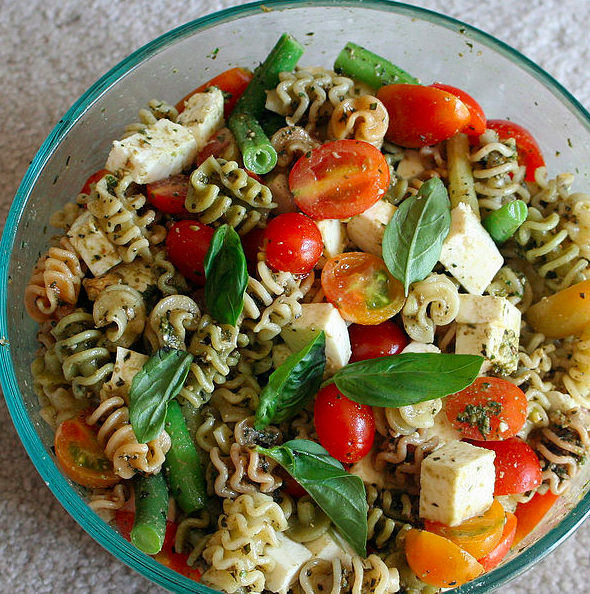 If not, it can always be served with a bit of Parmesan, provolone or mozzarella cheese. Though many children may not necessarily appreciate broccoli, the word comes from the Italian noun broccolo. On the other hand, the pale cauliflower comes from the Italian word cavolfiore. Other vegetables that have names of Italian origin are artichoke (from articiocco) and arugula, which is from the word rugula. You should also know that asparagus is from asparago while carrot is from carota. Limone is Italian for lemon and spinaci means spinach. If there’s something the Italians know how to do, it’s how to enjoy the sweet life. After all, they gave us the word sugar, which is from the Italian word zucchero. Although this word is originally of Arabic origin, it has found its way into the English vernacular by way of the Italians. Children will be delighted to know that the word candy is from the Old Italian words zucchero candi. 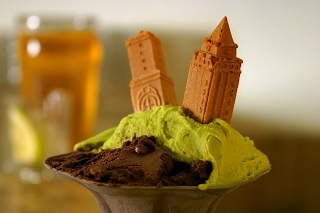 Dessert is often the Italian ice cream gelato, which can be topped with a Maraschino cherry. On the sweet, albeit healthier side, is the English flavor tutti-frutti. This means “all fruits” in Italian, since the word tutti means together. 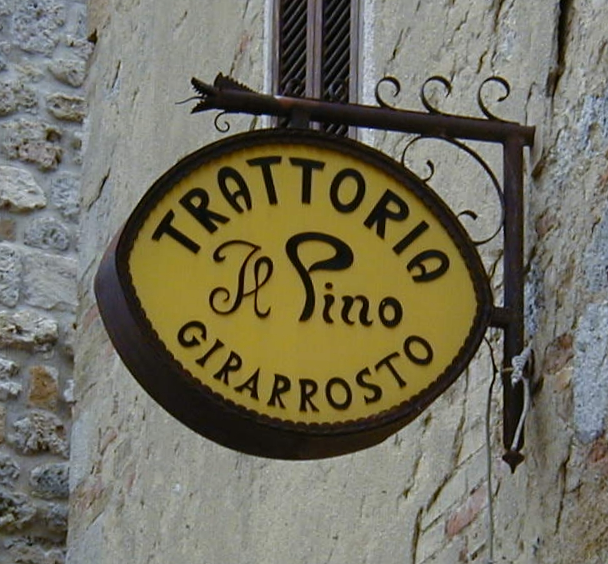 These are just some popular food items that have Italian origins, resulting in a gastronomic extravaganza. Incidentally, the word extravaganza is from the Italian root word stravaganza, which means extravagance. Through their delicious cuisine, the Italian language has managed to influence and add to the complexity of the English language. There’s no better way to influence a particular culture than through food, and the Italians have done so splendidly. Truly, Italians, didn’t just change the way we drink coffee of enjoy our meals, they have changed our language or lingua franca as well. We can’t help but eat with gusto! We regularly discover that lots of buyers find the whole progression of protected a language very intimidating and do not hold the essential information required to buy dissertation from experts or online construct conversant decisions on their language assignments options. Everything looks great! 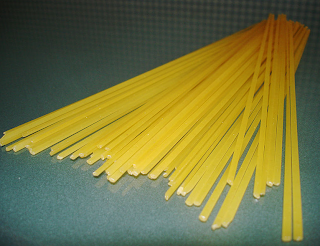 Hope someday I could see fresh pasta with my own eyes.